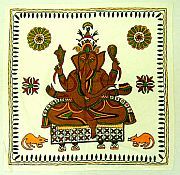 Panpaliya is manufacturers & wholesalers of ethnic Indian handmade products including -Our online catalogs provide complete bulk buying convenience to retailers, store owners, resellers, eBay sellers, small wholesalers, exhibitions, festival fair vendors, boutiques and designers who wish to buy directly from a manufacturer exclusive and amazing stuff at discount prices. 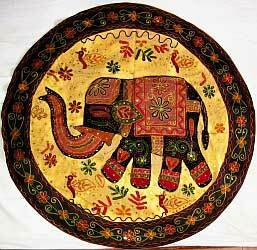 To create that exclusive collection for your store, panpaliya handicrafts provides wall hangings. 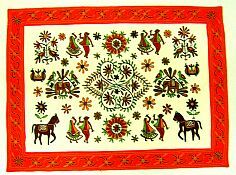 ethnic wall hangings , banjara wall hangings, wall decor, patch work wall hangings ,beaded wall hangings ,hand embroidered wall hangings ,Ethnic wall hanging and wall decorative ,handmade textiles wall hangings, wall hangings, wholesale lots wall hangings and lot more. 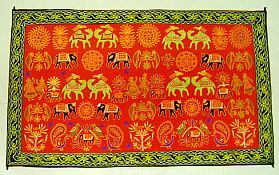 Checkout website. 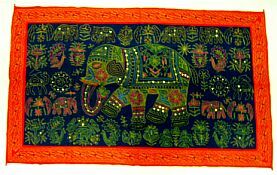 Product: Traditional Ethnic Embroidery Wall hanging Decorative "GANESHA"